TUCSON, Ariz — The city of Tucson has been ordered to pay $3.8 million dollars to a Tucson fire paramedic after the city failed to provide her with a private place to pump her breast milk. 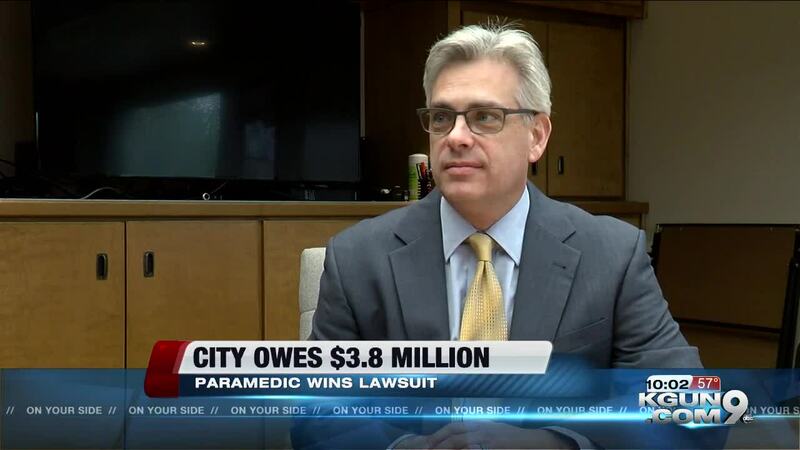 KGUN sat down with the paramedics attorney Friday to hear their side of the case, which they said was completely avoidable. "Roughly 40% of Tucson fires stations did not comply with federal law," Jacobson said. "They eventually complied but after they complied that's when they started retaliating against her." When Clark returned from maternity leave she was placed on a swing paramedic shift, working at different station where need. Her attorney says the problem, not all stations were equipped with private rooms. The City of Tucson issued this statement, "The city is not going to comment on the jury verdict at this time, The CIty Attorney is preparing post-trail motions to file with the Court and is evaluating the City's position on the appeal."